Drawing from a case study at the University of Virginia, this lecture explores the controversies, university politics, and economic challenges surrounding the emergence of Massive Open Online Courses (MOOCs) over the last several years. Bruce Holsinger is a fiction writer and literary scholar at the University of Virginia. 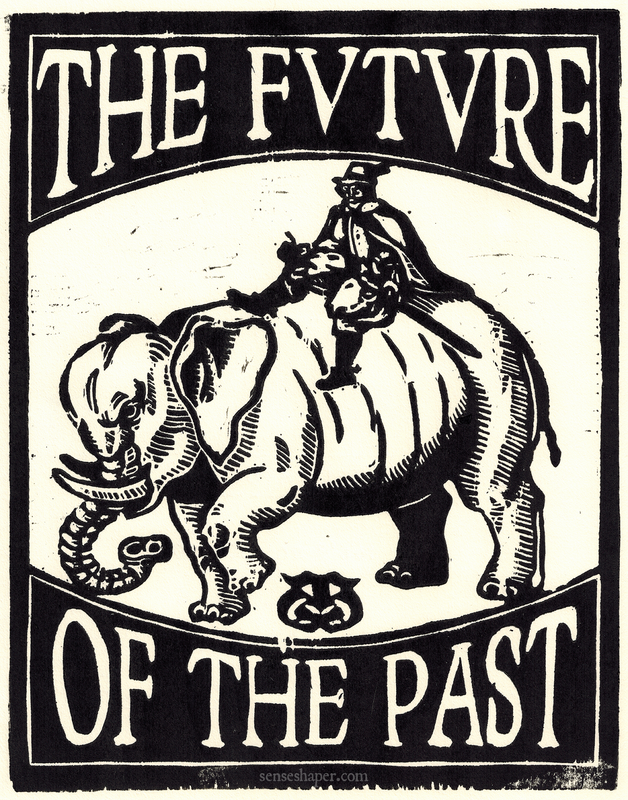 His critically-acclaimed debut novel, A Burnable Book, and its forthcoming sequel, The Invention of Fire (William Morrow/HarperCollins), are set in the alleys and halls of medieval London. His nonfiction books have won major awards from the Modern Language Association, the Medieval Academy of America, and the American Musicological Society, and his research has been supported with fellowships from the National Endowment for the Humanities, the American Musicological Society, and the Guggenheim Foundation. He appears regularly on National Public Radio and has written for The Washington Post, The Nation, The Chronicle of Higher Education, and other publications. NOTE: Prof. Holsinger also plans to meet informally with a group of students and faculty earlier in the day over lunch at 1pm in Rome 771 (food will be provided). Please email Prof. Jonathan Hsy (jhsy at gwu dot edu) if you'd like to reserve a spot (although please be aware that currently enrolled GW students will be given first priority). 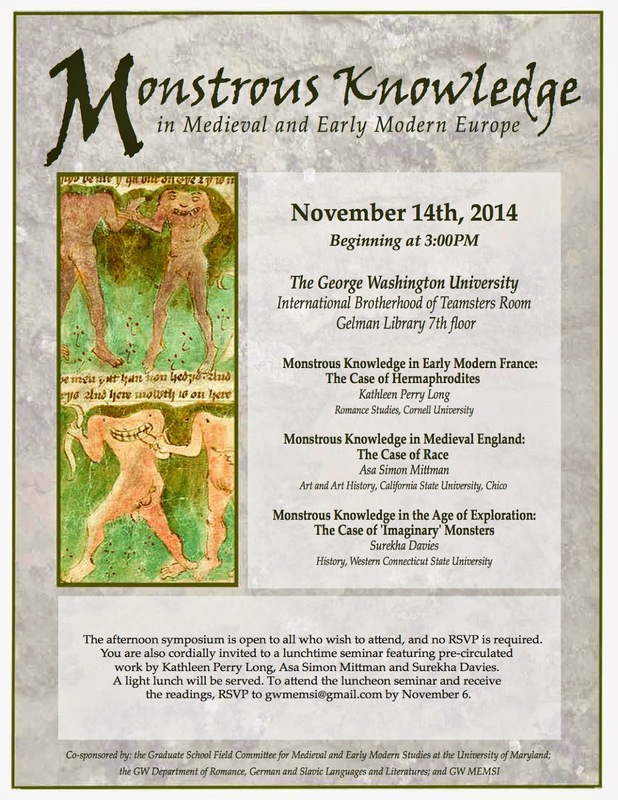 Monstrous Knowledge November 14: Two Events! 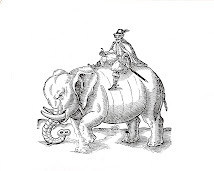 Please join us for two monstrous events, co-sponsored by the Graduate School Field Committee for Medieval and Early Modern Studies at the University of Maryland; the GW Department of Romance, German and Slavic Languages and Literatures; and GW MEMSI. I. Seminar with Kathleen Perry Long, Asa Simon Mittman and Surekha Davies, 12 PM. Three essays for discussion will be circulated in advance and a light lunch will be provided. RSVP to GWMEMSI@gmail.com by November 6 to reserve a spot and receive the readings. 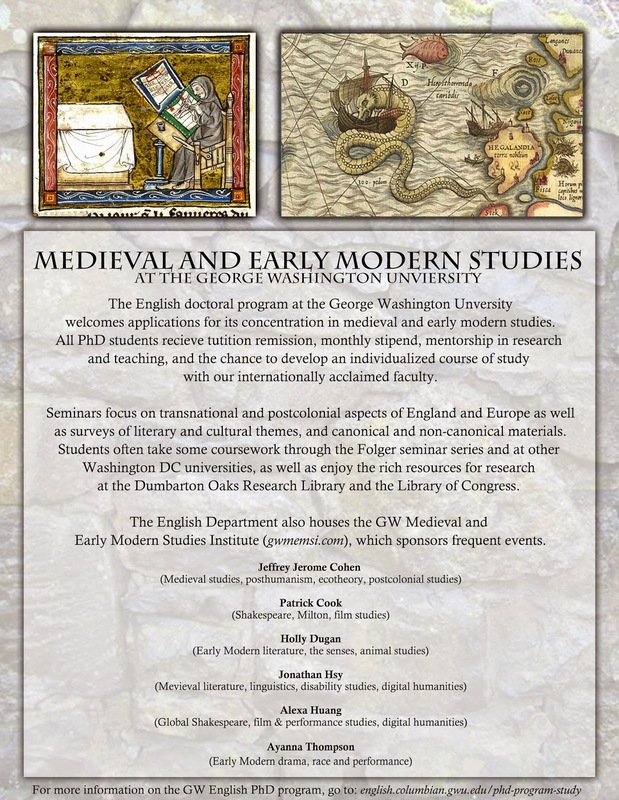 The doctoral program in English at the George Washington University invites applications for a funded PhD in medieval or early modern studies. Our program has wide strengths in postcolonial and transnational approaches to literature and culture; performance theory and cultural studies; race, ecology and critical animal studies; digital humanities; and disability studies. The poster below will give you a good idea of faculty strengths. We especially welcome students who can make use of the unparalleled archive of the nearby Folger Shakespeare Library, an institution with which we have a close relationship. More information and the link to apply may be found here.